I spoke with Kevin Audritt, Global Head .HSBC TLD Programme, to get some more insight on how this project came about and why he’s such a believer in the power of .brands. 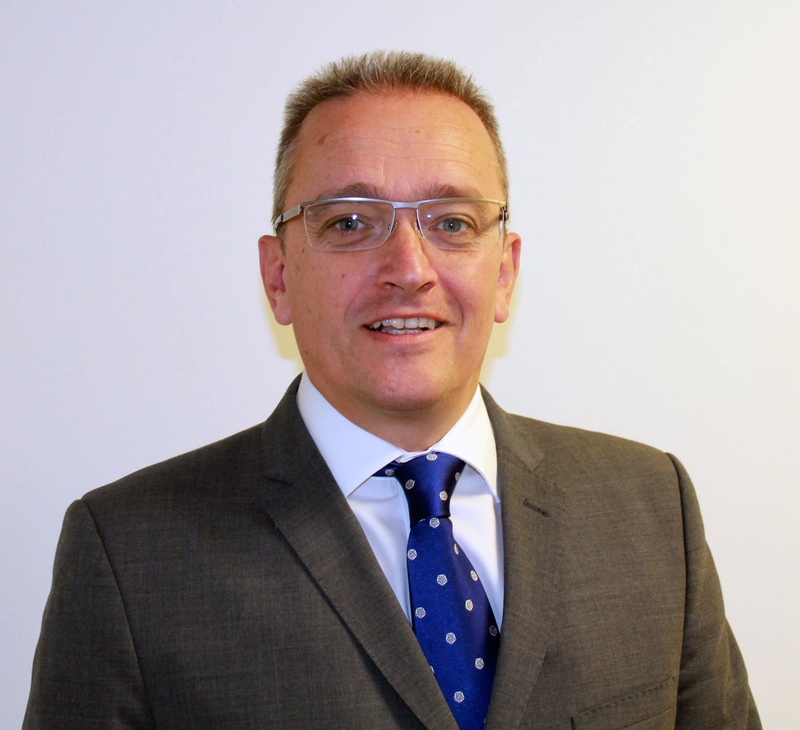 Kevin Audritt: Since 2011 I’ve been responsible for the management, strategy and governance of the Group’s domain IP that covers all of our global businesses across both IT and the business. So I’ve always been in a unique position of understanding what is happening across the entire Group which has been invaluable in respect of the .hsbc top level domain (TLD). Ownership of .hsbc has always rested with me in Global Marketing although initial ICANN onboarding was managed, at the time, by our risk department. Since 2015 I have been fully responsible for all elements of .hsbc including its delegation to the Internet. It is also important to acknowledge the support from executive management in Global Marketing and the Marketing COO in particular as programme sponsor. I’m certainly a strong advocate of the .brand and recognise the transformation opportunities that it can provide to grow our online business operations. I am also a Board member of the ‘Brand Registry Group’ which is dedicated to championing and supporting the use of brand Top-Level Domains. 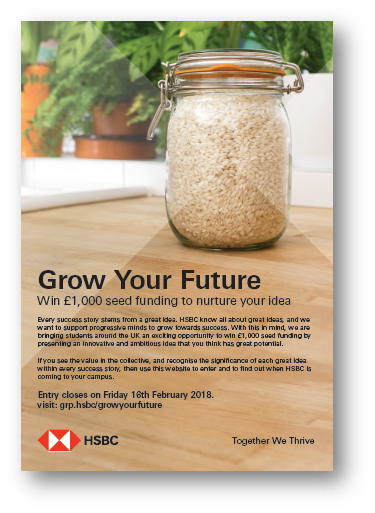 KA: This certainly brings back some memories; our original launch proposition back in 2015 was going to be a marketing, brand based microsite to celebrate the 150 year anniversary of HSBC. Unfortunately due to issues outside of our control, we were unable to launch the site but out of adversity comes opportunity, and so we explored other potential opportunities, which of course led us, amongst other creative workstreams, to the URL shortener. TK: Having grp.hsbc as your global URL shortener is a noticeable change for the organisation. How did you manage to obtain support within an organisation the size of HSBC? I was aware that our global social media team were onboarding a new platform. We have a great leadership team in our social media operation who at the time were keen on acquiring a unique URL shortener. However, I briefed them on the issues and risks of purchasing a commercial domain and was then in a position to offer them the opportunity of securing the unique grp.hsbc domain. To try get an understanding of how significant this was for the Group, it’s important to recognise that we have a social media team in each of the countries where we have a business presence. 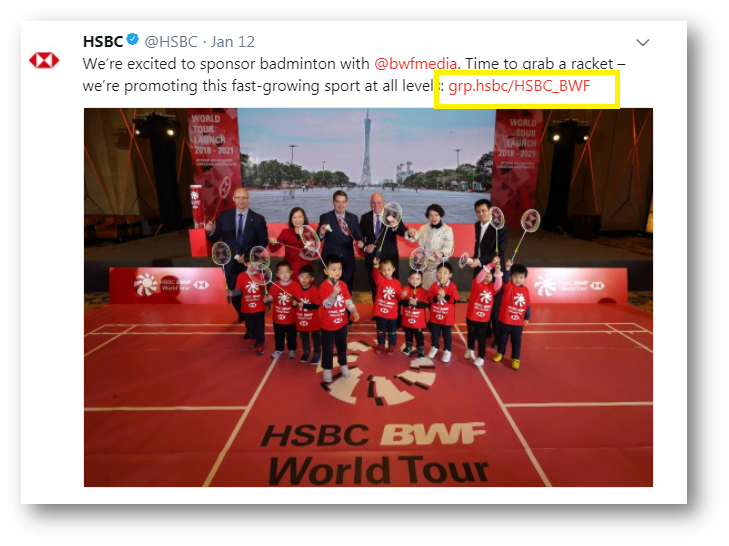 Those teams operate across both core global and local social media platforms, in local language, and so the application of the grp.hsbc shortener complements the socialisation of the post, builds affinity with the HSBC brand and enhances the user’s familiarisation with the .hsbc TLD. The demand to roll out the new platform and new grp.hsbc shortener was phenomenal and it is now the Group’s global default shortener. TK: What else have you done with with .hsbc to date? KA: It’s important to recognise that our TLD is not just confined to marketing related activities. From the outset our programme team have encouraged exploration and potential innovation in areas such as DNS networking, backend infrastructure, sponsorship, Cloud, cyber security, recruitment, bespoke secure services and staff related applications. The potential is enormous but it is also important to understand where we are on the journey. In June 2018 our new Group Chief Executive, John Flint, held his very first Global Leadership Conference in Hong Kong for his entire senior team. I suggested to the events team that they incorporate the use of a TLD for all of the event’s digital content including registration, presentations, supporting materials and post conference activities. So our new CEO was able to share a .hsbc experience with over 400 senior executives for the very first time and we received some excellent feedback from both attendees and the events team. I was approached by our graduate development team who were designing the student recruitment campaign for 2018 and I could immediately see an opportunity to deploy against a TLD. Students are extremely active digital consumers and so it was essential that the supporting domain matched both the excellent campaign content and the digital expectations of prospective employees. We also enlisted assistance from the UK social media team culminating in the launch of the ‘Grow Your Future’ campaign and supporting graduate roadshow. Our HSBC brand refresh was launched on 1st January 2018 and in support of this the new brand guidelines and standards for staff and external vendors were published to a new ‘Brand Hub’ TLD. Once again, recognising a great opportunity to combine the new brand with our dot brand, which coincidently now resides behind the Hexagon so it follows the .hsbc domain nomenclature. Finally, I am currently working with the Cyber Security TLD lead, Neal Smyth, on an exciting project that looks at how .hsbc can be applied to effectively support multiple industry security protocols across high volume threat landscapes. KA: We recognise that we are only a few footsteps in to our TLD journey. Internally, where there has been .hsbc engagement the response has been fantastic, from executive management through to front line staff, and it is true to say that ‘word spreads fast’. Statistics and feedback in respect of those deployments has been excellent and this is in part down to the review and selection process initially undertaken in order to ensure the continued success of the .hsbc TLD. TK: What are the key benefits you see that .brands can bring to organisations? KA: Our TLD team mantra is simpler, better, faster, safer and I think that echoes the key sentiments of what, at a high level, a .brand can deliver. From a domain IP perspective you are totally in control of your brand online, including access and ownership of the associated data. Your brand is operating at the highest level of the Internet and so you now have the ability to engage customers, prospects and staff at that level and really make the unique nomenclature work for your organisation. Socialising the brand – it’s something I keep referring to and it’s certainly part of our strategy, but there are two layers to this. There is the socialisation of my brand, HSBC, where I want users to engage at a HSBC level but there is also the socialisation that is happening with other .brands and their audiences and so together we are encouraging awareness of .brands and developing a mindset where, in terms of online behaviour, . brands become the accepted norm. The core benefits of security and trust in the brand TLD space have been well documented and by applying additional security protocols and polices at a registry level it will enable you to grow your business whilst keeping it safe. Spend some time researching what brands are doing in the .brand space. Don’t just look within your own industry segment or traditional competitor groups. See the diverse range of creativity and application on display and be inspired to the extent that you too can contribute to this growing, unique group of businesses. Reach out to brands, vendors and organisations, such as the Brand Registry Group, that are active in the TLD space. Remember, it’s not just about websites and the services that you can see online. A lot more happens ‘under the hood’ in terms of infrastructure and the application of sub-domains and this is where the real benefits of owning a TLD can be leveraged. You cannot do this on your own. Secure support and sponsorship from a senior executive, form a small, but active, TLD working group of key stakeholders from the core departments within your organisation who can drive the initiative though their own channels. Finally, always welcome .brand interest, creativity and innovation from wherever it comes from within the organisation. Review ownership of the TLD within the organisation. Is it easily accessible in terms of activation and being able to explore potential development and innovation opportunities? Focus initial releases on low risk, low cost but high interest/return propositions. This is where you will get the momentum, resource and investment to further develop your TLD programme.